SOMEWHERE is a unique, secluded tropical getaway with private gardens, pool and sundeck/jetty with a spectacular view of the Caribbean sea. This is the place to come to forget about your troubles and be pampered in lush surroundings while gazing at crystal clear blue water. 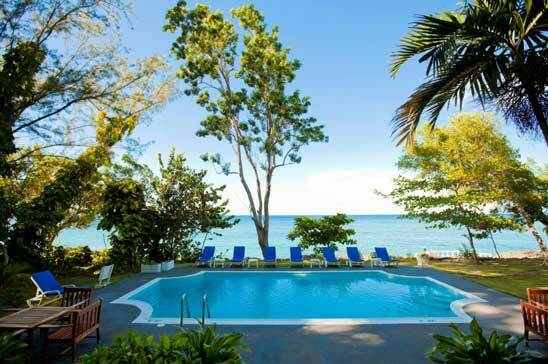 SOMEWHERE VILLA is in the resort town of Ocho Rios nestled on it's own 1.5 acres of the historic Prospect Plantation estate. Surrounded by lush tropical gardens, many guests spend hours on the private sundeck/jetty overlooking the crystal clear waters with steps to the Caribbean Sea. 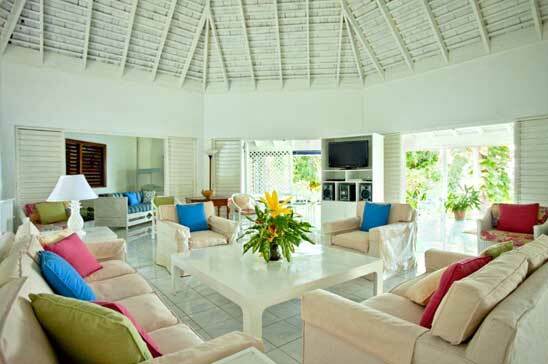 The décor of this spacious four-bedroom villa offers comfort and luxury. The central living area opens onto a covered veranda with outdoor seating and dining AND views of the pool and sea. SOMEWHERE's living room is large and airy, updated with new furnishings and providing all the modern comforts: Satellite TV, video/DVD, Hi-Fi, CD player, library board games, telephone and wireless broadband internet access for your BYO laptop. Two of the four air conditioned bedrooms open into the spacious living room which leads out to an extensive covered verandah. The other two bedrooms have their own small private patios with a beautiful sea view. 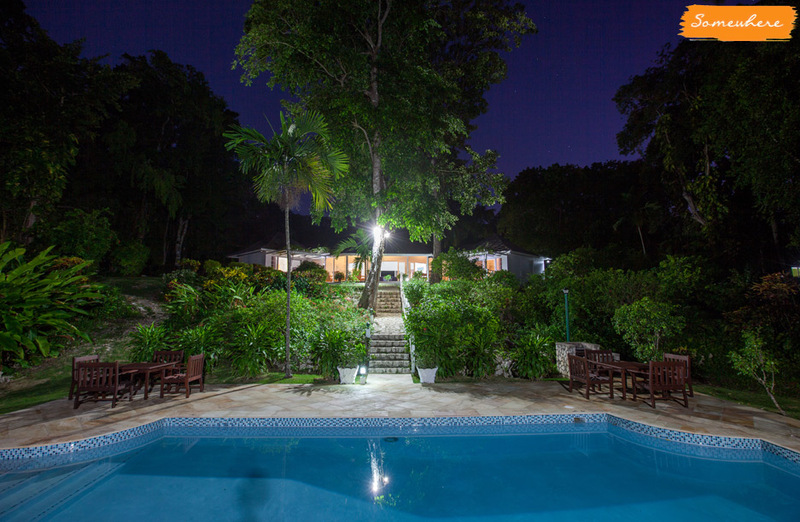 Just a few steps from the villa/verandah guests are lead down to the private swimming pool with barbeque which is surrounded by lush tropical gardens with a perfect view of the sea. SOMEWHERE provides a friendly, experienced staff who are happy to care for all of your individual needs: butler, cook, housekeeper/laundress, gardener and night security ensure that you enjoy a stress free environment with maximum comfort and relaxation. A pre-stocking/pay as you go service is also available with groceries items stocked prior to arrival and thoughout yoru stay. Meal costs are very dependent on the likes and dislikes of the individual group/family. On average, meals may work out to cost $50-$60/ person/day and US$25/child/day.